When we think back on braid hairstyles of the past, the French braid pigtails reigned supreme on the playground. But the trending braids we've been spying all over the runway are proof that braids are still the coolest hairstyle around, only now with a grown-up twist. 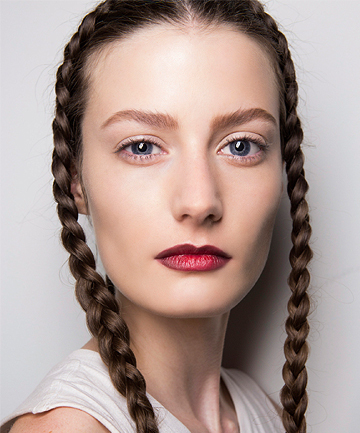 As carefree and whimsical as braids look, executing them can be difficult. So to figure out exactly how to make these princess-worthy braids a reality, we watched hundreds of YouTube braiding tutorials to find the videos that make every braid style completely doable. From mermaid-y waterfall braids to messy fishtails and braided updos fit for an Olsen twin, here are the braiding tutorials you need to master the most gorgeous braid hairstyles. Wow, that's an awesome braid!! This is soooooo great! I tried french braiding my hair before & complete failure...my hair is super thick, greasy, and straight but I will definitely give these tutorials a try! I love braiding my hair and I am always looking for some new way to do it! I actually favorited almost all of these videos on my youtube account! Thank you.